The Renwick Gallery houses the Smithsonian American Art Museum’s collection of contemporary craft and decorative art. Ranging from glassware to embroidery, basketry to pottery, the museum’s collection spans a number of disciplines and aims to show the significant role craft plays in modern life. 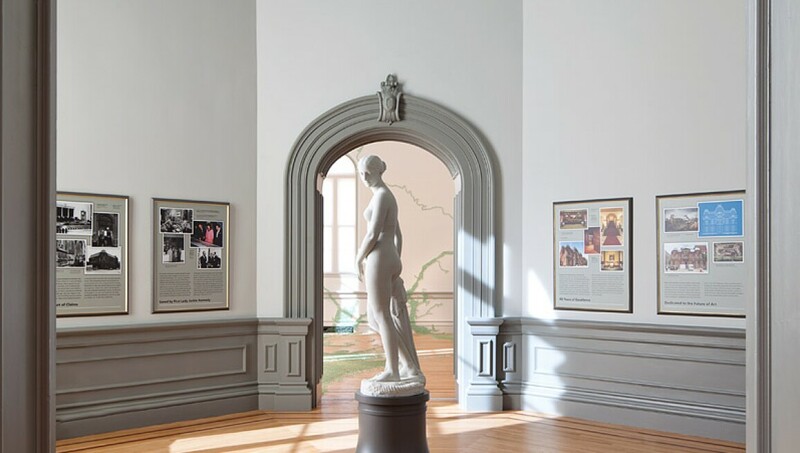 The Renwick was the first building "dedicated to art" in the United States and was originally the home of banker, collector and philanthropist William Wilson Corcoran. Once dubbed "the American Louvre", it was designed by architect James Renwick Jr, who also designed St Patrick’s Cathedral in New York. 'Bureau of Bureaucracy,' c. 1993-1999. 'The Birth of Eve,' 2013. ‘Low Basket with Handle,’ 1999.